What is an Architecture Roadmap? 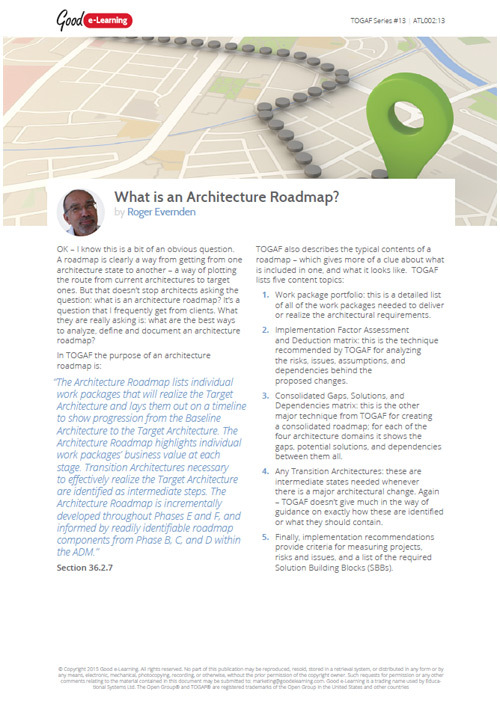 The architecture road-map is one of the key outputs in any EA project. TOGAF covers the basics of the purpose and content of a roadmap, but it doesn't fully explain everything that a good roadmap needs to include. Hence the question that we ask in this article: what is an architecture road-map?